Fully utilising the possibilities of both imaginative storytelling and the technology available today in computer generated imagery, Wonder Park is a feast for the eyes and provides a meaningful life lesson. 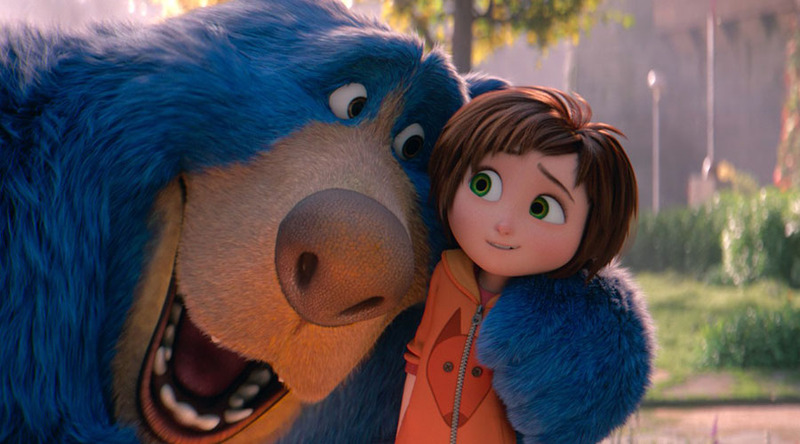 It’s seen through the eyes of an adventurist young girl named June (voiced by Sofia Mali). June has created an imaginary place called Wonder Park. It’s a place she and her mother (Jennifer Garner) share together. When her mother becomes ill, the script is unafraid to go to a dark place to give the storyline some dynamic range. The drama this creates informs the first half of the film. In the second half, through circumstance, June finds herself alone in the woods, where she actually finds a dilapidated version of the fun park. She sets out on a path to bring it back to its full glory. During this quest, June learns to come to terms with the sadness her mother’s illness has created. This lesson is subtly told while the screen pops with wild flights of fancy and brilliant colours that explode off the screen. The film doesn’t try to impart excessive slices of real life and lives comfortably in the world of imagination.